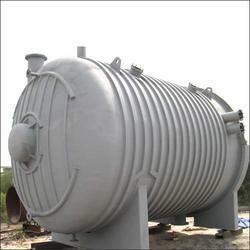 We offer a wide range of Vacuum Chambers for our clients based not only in India but also in UK. These are manufactured from quality raw material and are used for impregnation of resin in transformers, generators and motors in electrical industry. We also meet customized requirement for our clients benefit. Our range of Vacuum Chambers is manufactured from 300-grade stainless steel, SA 516 Gr70, carbon steel. Known for its excellent quality, durability and high efficiency, these are used for impregnation of resin in transformers, generators, and motors in the electrical industry.